Cool and elegant blouse from Culture. 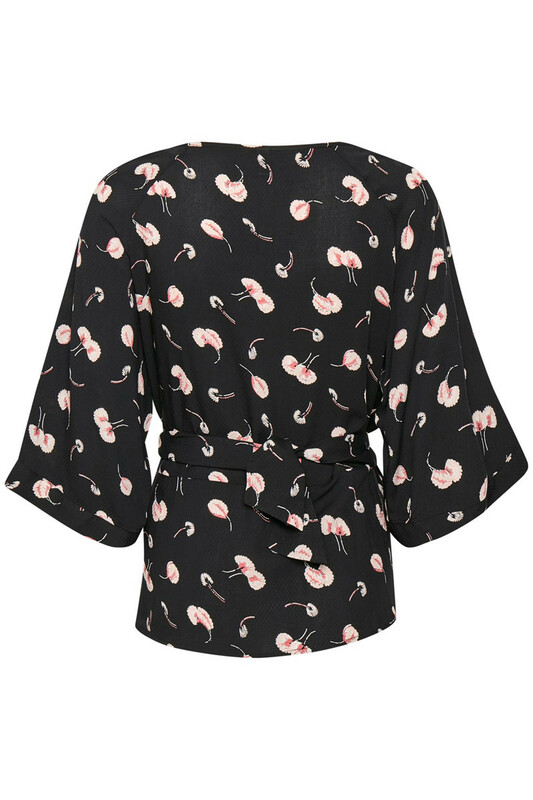 The blouse has this beautiful print, wide ¾ sleeves and a round neckline. It has a regular fit and is very lightweight in quality. The blouse has a nice tie belt at the waistline, creating a stylish effect. The trendy print and the tie belt offer many fashionable style options! It can certainly be used for both parties and everyday use.